If you teach multiple sections of the same course, you may want to consider cross-listing. Cross-listing is Canvas’ way of combining multiple sections and students from those sections use the same content from one Canvas course site. Instructors only need to add content once into the parent course, and students from all sections can access it. Cross-list sections before adding content to the Parent course. ­Content in the Child sections will not be visible after cross-listing. Cross-list sections before classes start. 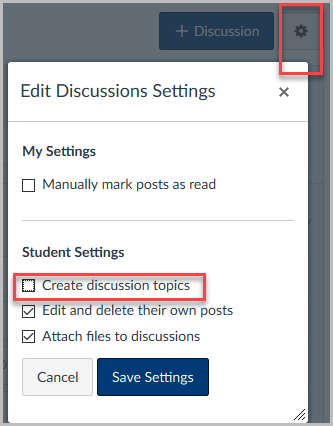 ­If students have activity in a section (grades, discussions, assignments, quizzes) and you move a section under a parent section, you will NOT be able to see the students’ previous activity. Cross-list sections that are taught at the same time, in the same place. ­For example, MATH-265C and PSYC-265C. These 2 sections meet in the same classroom at the same time and have the same instructor. Determine which section will be the parent section and go to the course page. On the bottom left of the Navigation menu, click Settings and go to the Course Details tab. Scroll down the page and you will find the SIS ID number. Make a note of it–in the example below, it’s 65956. Go to the child section that you wish to cross-list with the parent section. On the bottom left of the Navigation menu click Settings and at the top, click on the Sections tab. Click on the section listed under Course Sections. In the example below, it’s NT-101C-05. On the top right, click Cross-List this Section. In the Enter the Course’s ID box, type in the SIS ID number that you had noted (see Step #3 above). In our example, it’s 65956. The name of the parent course will then appear in the Selected Course. To choose the parent course, click Cross-List This Section. We recommend that you indicate on your Home Page which sections are combined in the parent section. In a parent course section, you can verify which sections have been cross-listed by going to Settings on the bottom left Navigation menu. Click the Sections tab and you will see which sections are cross-listed. 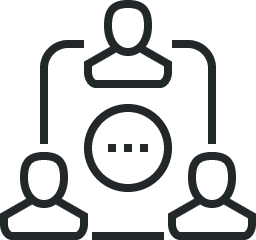 When you cross-list, students from multiple sections can interact with each other. Unfortunately, due to the Family Educational Rights and Privacy Act (FERPA) regulations, students cannot have access to student information of course sections they are not enrolled in. Therefore, students are not allowed any interaction with students from another course section (unless they physically meet in the same classroom at the same time). A. Course Settings. Make these changes under the Course Details and Navigation tabs. Under the Course Details tab, click on More Options. Unselect the three options shown below and click Update Course Details. 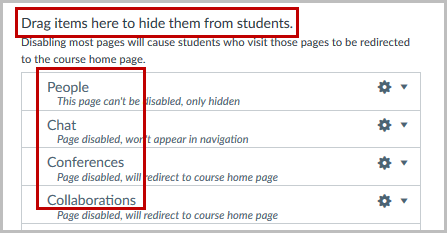 Under the Navigation tab, you must Hide/Remove the People, Chat, Conferences and Collaborations items to restrict students’ ability to view and interact with another course section. Save the settings. B. Discussions Menu. You must disable students’ ability to create discussion topics. C. Canvas Inbox. 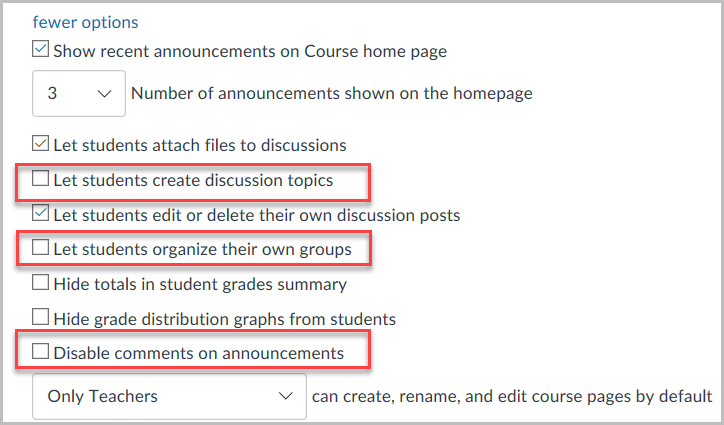 There are two options for sending a message in Canvas and staying FERPA compliant with combined courses. When composing a message, check the box that says “send an individual message to each recipient.” This will prevent students from sending a “reply all” response or seeing to whom the message was sent. Select the address book in the “To” box and then select “course sections.” This will allow you to send a message to students in a specific section. This is beneficial if you want students to be able to “reply all” to fellow section members. D. Course Settings for Announcements and Groups. Do not allow students to create their own student groups.